EMO :: Expanding your Direct Sales business in Europe! 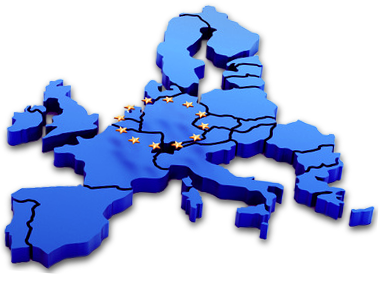 Expanding your direct sales business in Europe? We’ll do it for you! Doing business in Europe is complex. We at European Market Openers have the knowledge, contacts and hands-on experience managing the numerous legal, political, economic, technological and other challenges that must be addressed. We boast more than 50 years of collective “front line” experience in Direct Sales, leading successful market openings for start-ups and large companies such as NSA (Juice-Plus), Rexall Showcase International, Mary Kay, Neways International and Melaleuca (“The Wellness Company”) in Europe. The European Union with total 2014 sales of Euro 20+ billion and the promising growth markets in Central and Eastern Europe can provide your company with an opportunity for significant growth. As your business consultants we will partner with your team to develop and assist with the implementation of a cost-effective and comprehensive business plan customizing your company’s launch while protecting the core values of your business. We can support your team throughout the launch and be of service as long as necessary. © 2019, European Market Openers. All rights reserved.